Craving Italian food? 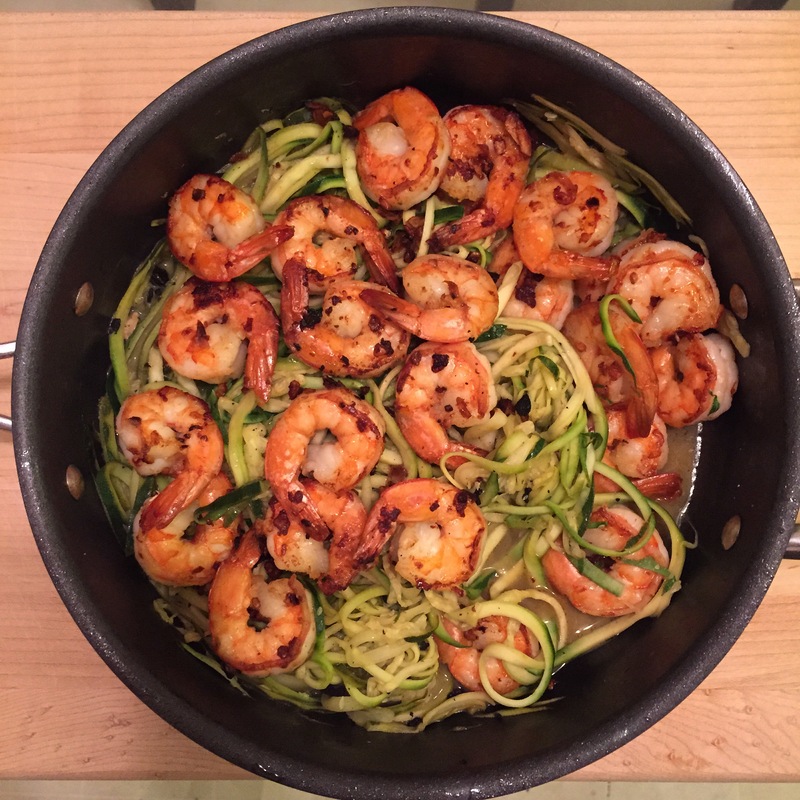 Here's a different take on an Italian classic Shrimp Scampi Pasta, only catch is the noodles are made of zucchini and there's no wine, butter, or cheese. You still get to enjoy this favorite comfort food, it's just healthier! Yields 2-4 servings. Heat olive oil in a large sauté pan over medium-low heat for 1 minute. Add the garlic and crushed red pepper flakes -- cook for 1 minute, stirring continuously. Add the shrimp, stirring as needed until they are cooked throughout, about 3 minutes. Season the shrimp with salt and pepper and then transfer them to a bowl, leaving any liquid in the pan. Increase heat to medium. Add the warm water and lemon juice to the pan, stir with wooden spoon and cook for 2-3 minutes. Add the zucchini noodles stirring occasionally for 3 minutes. Return the shrimp to the pan and add the salt & pepper to taste. Use a Spiralizer to cut the zucchinis into noodles. Can be found at most cooking stores such as Sur La Table, or from Amazon.